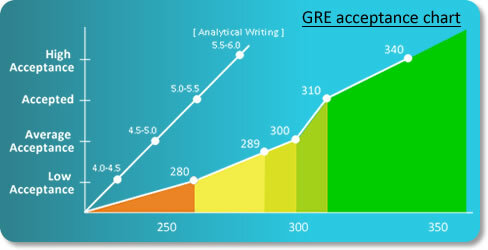 GRE is an extract of The Graduate Record Examination. The test is a multiple choice admission test for the aspirants who are seeking Masters Degree or PhD degrees in the US. The test executed by Educational Testing Service (ETS), under the sponsorship of the Graduate Record Examinations Board. The test contains sections: verbal, quantitative, and analytical writing skills. A multiple choice admission test for Graduate schools. The GRE is a computer-adaptive test, which means your performance on previous questions determines which question you’ll be asked next. The GRE exam is taken by students who aspire to take masters, PhD programs abroad. GRE General Test: The GRE General Test is a computer-administered test which measures verbal reasoning, quantitative reasoning, and critical thinking and analytical writing skills that are not related to any specific field of study. Verbal Section: The Verbal Section of the GRE has sentence completion questions, analogies, antonyms, and reading comprehension questions. This section measures your ability to draw conclusions based on an analysis of written materials, recognize relationships between concepts and words & analyze relationships between different parts of sentences. Math Section: The Quantitative or Math Section of the GRE tests high-school level math. You’ll need to know arithmetic, algebra, geometry, and data analysis. 45 minutes for the “argument” essay. This section measures your ability to communicate complex ideas in a concise and effective way, evaluate claims and evidence, support ideas using logical reasoning and relevant examples & use standard written English to prove an argument. undergraduate achievement in eight specific fields of study ((Biochemistry, Cell and Molecular Biology, Biology, Chemistry, Computer Science, English Literature, Mathematics, Physics, Psychology). This test is necessary for those applicants who aim to enroll in a doctorate or a master’s degree program in the US. Each Subject Test is intended for students who have majored in or have extensive background in that specific area. GRE test scores also determine how much financial aid a candidate will receive. Most schools use GRE scores to determine eligibility for merit-based grants and fellowships, as well as teaching and research assistantships. GRE scores are valid upto 5 years. While registering for GRE, the aspirant needs to create an account on My GRE Account to register online and its fees are $185. In any case, if the test is cancelled within three working days half amount will be refunded out of the test fees. No refund in the cases like proper registration procedure not followed or required documents not submitted.